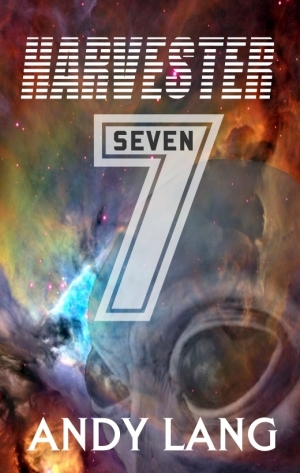 The print edition is available now for my latest novel, Harvester 7. Harvester 7 is my first venture into science fiction, but as with my other mainstream novels, it features a strong female protagonist (even if not human this time). Rather than the more usual books in this genre I have centred the action around political intrigue and moral choices, a theme that develops throughout the trilogy to follow next year. If you enjoy sci-fi, and want to try something a little different, give Harvester 7 a try, it's on pre-order offer at just 99c until the 7th September. (Electronic edition from Amazon). Master Maulik carried the responsibilities of feeding his race with pride, and he performed his harvesting duties with diligence and compassion... but his heart longed for adventure. But it is often dangerous to long, for sometimes the heart receives that which it desires most, and Maulik finds himself plunged into a game of political intrigue and brinkmanship that could alter the balance of power in his galaxy as rival species form an uneasy alliance. For the ultimate doom approaches. Harvester 7, an introduction to the Rise of the Kressa trilogy. Trim Size 5" x 8"